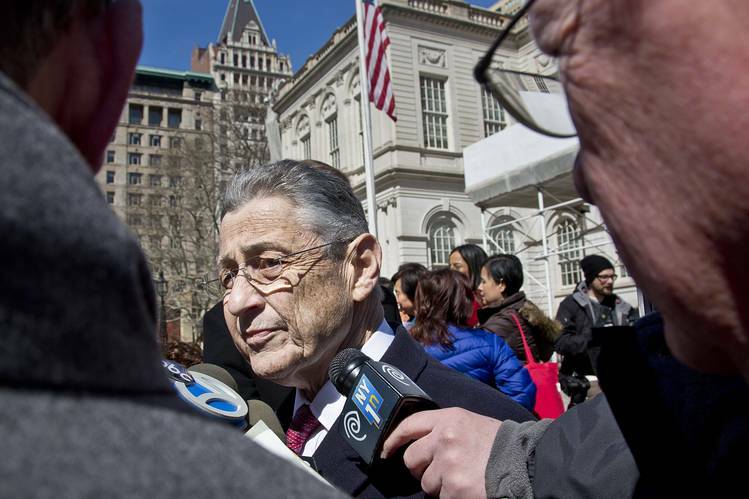 Could Sheldon Silver’s arrest help clean up the New York tort racket? The corruption charges against former New York Assembly Speaker Sheldon Silver have exposed the rotten links between politicians and trial lawyers, and that attention is bearing fruit. Witness the clarifying drama in New York’s asbestos court. Manhattan Administrative Justice Peter Moulton recently held an unprecedented “town hall meeting” to hear complaints from dozens of defense attorneys who say New York’s asbestos docket has been rigged to favor one tort firm: Weitz & Luxenberg, the same powerhouse asbestos firm that benefited from an association with Mr. Silver. According to the federal complaint, Mr. Silver is alleged to have directed state funds to the practice of a New York asbestos doctor, who gave Mr. Silver the names of mesothelioma patients to serve as plaintiffs. Mr. Silver passed these names to Weitz & Luxenberg, receiving $3.2 million for his referrals. Weitz & Luxenberg wasn’t charged and denies wrongdoing, yet the case has cast a spotlight on the extraordinary relationship between the firm and the court that deals with asbestos cases—the New York Consolidated Asbestos Litigation docket. Until recently, the chief judge of NYCAL was Sherry Klein Heitler, who rose through the judicial ranks during Mr. Silver’s political tenure. When Justice Heitler retired last month, more than half of the cases in the asbestos docket were Weitz & Luxenberg’s. In four years the firm won $273.5 million of the $313.5 million (87% of the total) awarded in 15 mesothelioma verdicts—$190 million in 2014. Justice Heitler also made a highly controversial ruling last year—at the request of the favored firm—to reverse a 20-year policy against allowing punitive damages in asbestos cases. The judge reached the mandatory retirement age of 70 last year but was kept on into 2015. Not long after the Silver scandal broke, the court announced she was finally stepping down as head of NYCAL. The mess thus lands with her successor, Justice Moulton, who has a reputation as a straight-shooter. Some 45 firms representing 200 asbestos defendants have filed a motion to halt all asbestos proceedings for 60 days, in order to investigate and repair the rigged NYCAL system. With any luck Justice Moulton will grant the stay and use this moment as an opportunity to adopt reforms that begin to clean up NYCAL’s asbestos racket. Some 300 corporate asbestos defendants are mired in New York litigation. Reform would address the source of Mr. Silver’s alleged corruption—the asbestos tort racket.